Yet another fabulous circus! The Ringling Bros and Barnum & Bailey circus is one of my favorite shows every year, and their Legends show was no exception. The excitement starts early, and doesn't stop! 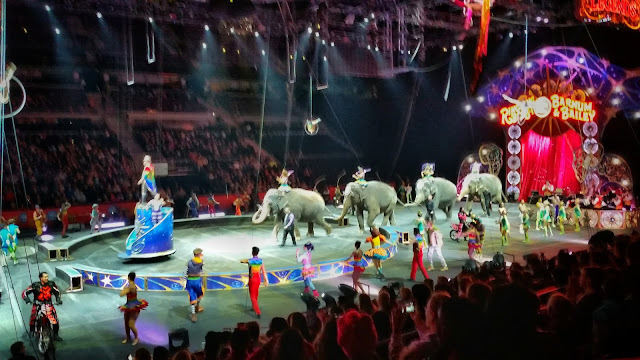 My son says he loves the clowns, and my daughter has continually declared herself an animal lover with every show. This year she was super excited to see the elephant in a costumer of a woolly mammoth! 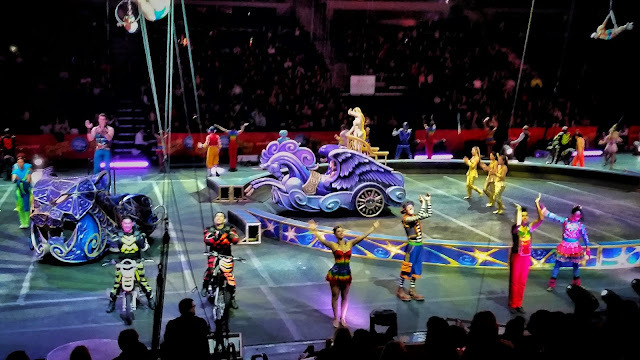 A unicorn and pegasus were also featured - what else would you expect from The Greatest Show on Earth?!? Tickets for all shows are still available at Ticketmaster. Great pics, Becky! I didn't go yesterday but my parents did, and loved it. This is so fun to watch! Hope I can see it too! Great pics. You must have had nice seats. Looks like you had a great time.